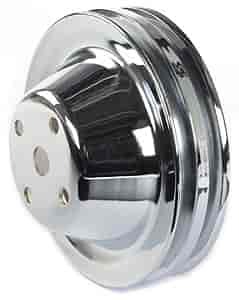 Replace original black engine pulleys with a set of new chrome-plated steel pulleys. Available for small or big block Chevy & small block Ford. Does Mr Gasket 4975 fit your vehicle?